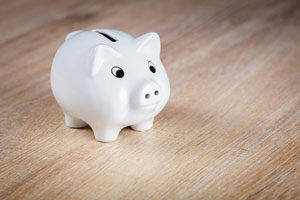 Saving is an important part of living financially free, whether it’s to prepare for unexpected events, to fund extras like holidays, or to save for your future such as your retirement. While we’re here to help you save, there are other ways in life where you can kick the spending and start saving for a stronger financial future. Check out these savvy savings tips to make your money go further. Develop a plan showing what money you expect to receive and how you expect to spend it. A budget is one of the best tools for keeping on track and getting the most out of your money to get ahead. When you get paid, pay your essential bills first like rent and debt repayments, and then put something aside in a separate savings account. Even if it’s $5 a week, it makes a difference and over time you can earn interest on what you save. If you have high interest debt like credit cards, personal loans and car finance pay that off first. At NZCU Employees, we can help you to reduce your debt faster by consolidation into one personal loan. By consolidating debt with a members loan, your funds are freed-up to start saving. When you start saving, you can then use your saved funds without having to borrow more. Make sure you know exactly what you have to pay out so that you can stay on track with your financial goals. Check your bank statement monthly and account for all your spending so that you know where your money is going and cut the unnecessary expenses. Regularly look at any subscriptions and user accounts you have—especially the ones that automatically charge you such as TV streaming services and cell phone plans. Do you really need that service? Can you switch to a cheaper plan? Over a year this could save you tens or hundreds of dollars. Get into the habit of turning off lights, unused appliances and electronics if you don’t need to keep them on. It’ll make for a cheaper power bill. Buy on special and buy in bulk. Keep your own price data on the 5-10 items you buy the most of at the supermarket. Use a spreadsheet or a Google doc and enter a row for each item and a column for different shops where you can get the product locally or online. You’ll start to see where you can get certain items cheaper and you’ll also see when a price is so good that you might want to stock up. It really does make a difference to your pocket to eat from home. Try not to spend money on eating out, whether it’s the bakery at lunch or takeaways in the evening. Stock up on reusable containers and make meals ahead to refrigerate and use throughout the week. It’s hard, yes, but you’ll be saving so much money. Smoking is an expensive habit costing the average person approximately $160 a week (depending on the number you smoke a day), based on a pack of 20 costing around $22.80 (the average cost in January 2016 which has now been raised). That’s about $8,300 a year you could be saving. Also, your body will thank you for it in the long run too! As we become more and more inclined to use eftpos we often don’t know what to do with loose change when we come across it. Don’t spend it at the McDonald’s loose change menu, collect it, and put it aside in a jar or a piggy bank and it will definitely add up over a year.